One stop shop for your hardware needs. Everything for lawn and garden. Welcome to Eagle Hardware Farm & Ranch! Eagle Hardware Farm & Ranch proudly serves the Hunt, Rockwall and Kaufman Texas counties with a wide variety of hardware supplies, including tools, electrical equipment, nuts & bolts, plumbing, paint & sundries, fencing supplies and hay. We are your local farm and ranch supply and feed store too! 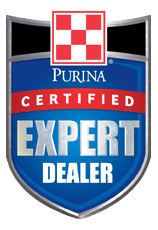 Our feed store has cattle feeds, horse feeds, livestock feeds, pet foods & supplies, lawn and garden supplies, and animal health products for your home or ranch. Our knowledgeable staff has many years of experience and strives to keep up with the latest developments in today’s marketplace. If you have special needs, we work hard to fill specific requests for products. Eagle Hardware Farm & Ranch provides quality customer service, we are happy to deliver anything we carry directly to your home or barn. Call us, email or stop by, we look forward to serving you and your pets.